Home Must See West Wing real estate: Who has access to Trump? (CNN) President Donald Trump is a real estate man, but that may not make one task of his new administration any less tedious: parceling out office space in the West Wing. The offices, whether they afford majestic views of the Washington monument or in many cases, no views at all, are among the most coveted spots in the capital. 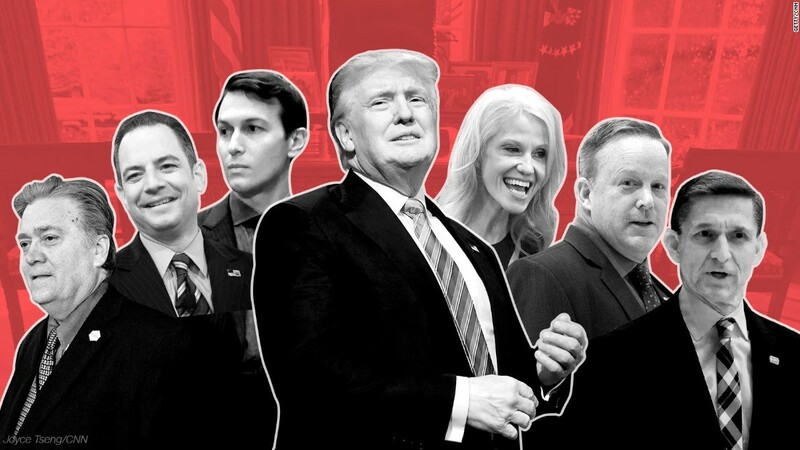 Yet they are not all created equal, with the assignments offering a telling look at the pecking order inside the Trump White House. The size of the offices — many of which are barely big enough to hold much beyond a desk — would likely be scoffed at by many of the occupants in any other job. But if you’re working for the president, being within eyesight or just down the hall makes up for any cramped coziness. Jared Kushner, the senior adviser and son-in-law to the president, has the office closest to the Oval Office, a small nook where the president often passes by. In President Barack Obama’s first term, it was occupied by David Plouffe and David Axelrod. Reince Priebus, the chief of staff, has one of the largest offices in the West Wing. It’s the only one with a small outdoor patio and a conference table to hold staff meetings. Steve Bannon, the chief strategist, has the office between Kushner and Priebus, completing the most powerful hallway in the West Wing. One question — yet unanswered by the White House — is whether Ivanka Trump will take an office in the West Wing. Most aides and advisers to the president report to work each day in the Eisenhower Executive Office Building, a grand structure just west of the White House that was originally built for the State, War and Navy Departments. 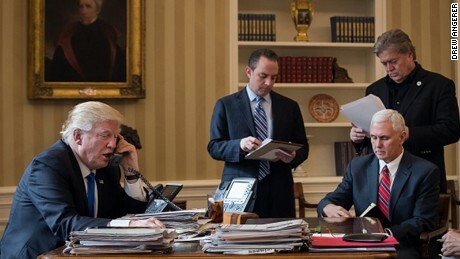 But the offices inside the West Wing, with its close proximity to the president, offer a kind of unrivaled power and access. Like most recent presidents, Trump will also allocate offices on the first floor of the West Wing to the vice president, the national security adviser and the White House press secretary and his communications team. The White House counsel, director of the National Economic Council and the director of domestic policy will all be on the second floor of the West Wing. Kellyanne Conway, counselor to the president who is one of his top advisers, is working from a second-floor office with windows looking out to the South lawn of the White House. It’s the same office Valerie Jarrett, the longest-serving senior adviser to Obama, worked from. Karl Rove worked in the office during President George W. Bush’s first term. And Hillary Clinton also used the office during her husband’s administration. West Wing real estate: Who has closest access to Trump?